"Our thoughts are not merely reactions to events; they change what ensues." As we know, life inflicts the same setbacks and tragedies on us all, but how we as individuals weather these storms is wholly unique and independent from our peers. In fact, it is likely that our tendency towards a positive or negative reproach is innate, that we are born with either an optimistic or negative outlook. This innate tendency, if left unattended, can affect the way we perform and interact in all spheres of life, both professionally and personally. 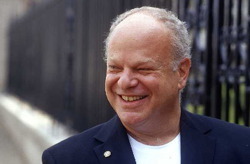 In Learned Optimism, author Martin E. P. Seligman compiled countless studies and comparative research summaries to present a compelling and hopeful case for the opportunity to counteract your innate tendencies, through learned and deliberate practices to form selective approaches to life’s rollercoaster of events. While this piece is quite involved and wide reaching, readers will learn the foundation of both optimistic and pessimistic outlooks and how to identify their own explanatory style, the theory behind learned optimism and the need for selective and situational application. Seligman presents readers with various opportunities to assess their natural tendency through quizzes within the book, providing opportunity for real time application of the theories and suggestions presented. "Explanatory style is the manner in which you habitually explain to yourself why events happen. It is the great modulator of learned helplessness." Through various studies, Seligman demonstrates the extensive research that linked explanatory style to your aptitude for learned helplessness; the most persuasive was the shock experiment. His team subjected three groups of dogs to shocks. Group 1 was able to find the key to make the shocks stop, Group 2 had no power to affect the shocks and Group 3 was a control group. The same groups were then placed in an easily escapable pen, and subjected to the same treatment, surprisingly enough Group 1 escaped, yet Group 2 made no effort to escape the shocks, evidence of learned helplessness. While this study, Seligman recognizes, would no longer pass ethical standards, it is easily applied to the human variety. A person’s explanatory style and tendency towards or against learned helplessness, if left unattended, has been proven to directly impact the way a person moves through their life, the progression of their personal and professional goals and ultimately the likelihood of depression. "When failure occurs, it is because either talent or desire is missing. But failure also can occur when talent and desire are present in abundance but optimism is missing." Perhaps the most valuable takeaway for the modern day professional is the application of this newfound understanding of explanatory style and outlook tendencies to one’s career path and role choice. Seligman has conducted various studies related to hiring practices, finding indicators for success based on the applicant’s optimistic scoring. This is most evident in sales based roles, a career that is riddled with setbacks, hard walls and consistent competition. Seligman found that “optimism was the key to sales success”. Testing for optimism at the time of hiring, he evaluated the group’s success throughout their first year on the job. Perhaps not surprising at all, those who scored higher were more successful in their first year, and those who scored lowest had vacated their position. "I have found that pessimism is escapable… by learning a new set of cognitive skills." “The good news is that the pessimists can learn the skills of optimism and permanently improve the quality of their lives”. By learning to adjust your patterns of processing, you are able to nip pessimism at the source and define a new optimistic tendency. Seligman demonstrates we can do this by incorporating the foundational theory of Cognitive Therapy and deploying disputation and distraction when and where necessary. Cognitive Therapy represents a permanent change to your explanatory style, incorporating five steps. Learn to identify negative thought patterns when you are feeling your lowest. Dispute those thoughts by suggesting evidence to the contrary. Distract yourself by reverting to an alternative thought pattern, as simple as thinking of something else. This hopeful and actionable reproach to pessimism in Learned Optimism is inspiring. With the growing epidemic of depression and anxiety and the propensity for negativity in our daily influences, it is imperative that we harvest the skills and manifest the habits to deploy optimism in our every day lives. Our personal sphere demands resiliency as we tackle life’s milestones and relationship hurdles and our professional sphere demands perseverance and commitment to finding a way to success. By recognizing the application of each explanatory style and committing to awareness and self-improvement, Seligman has given us the tools to live a happier, more productive life. The only question remains, what is your explanatory style?